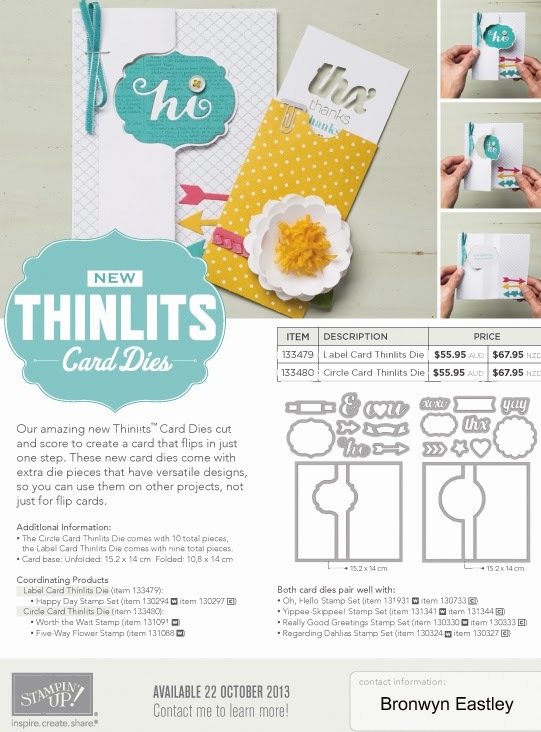 Thinlits Card Dies are Flippin' Awesome! On Friday night I helped a friend re-launch her SU Business and because the new Thinlits Card Dies were only released last week, I thought it would be great to demo them for the Make 'n' Take. Now ... last week was no ordinary week for me. To cut a long story short it was EPIC in more ways than one and the whole Make 'n' Take inspiration thing just wasn't happening! 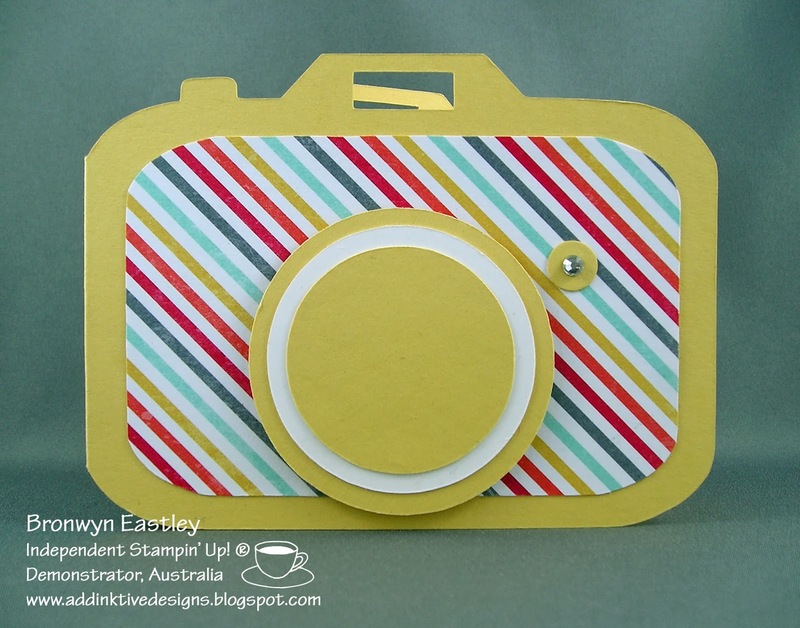 In desperation (the night before the workshop) I went to Pinterest and came across a wonderful tutorial via You Tube called, How to Create Awesome Cards with the Card Thinlits Dies by Linda Higgins, a fellow Aussie Demonstrator! All I can say is that Linda saved the day! 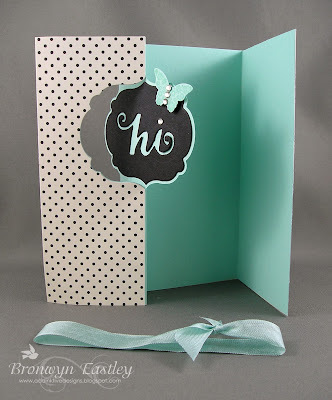 Make sure you check out her tutorial as it explains how you can get the extra flap thingy on the right hand side of the card. The inside of the card with the extra 'flap'. Each Make 'n' Take was 'personalised' and we ended up with Birthday Cards, an Engagement Card and an idea for Wedding Invitations. 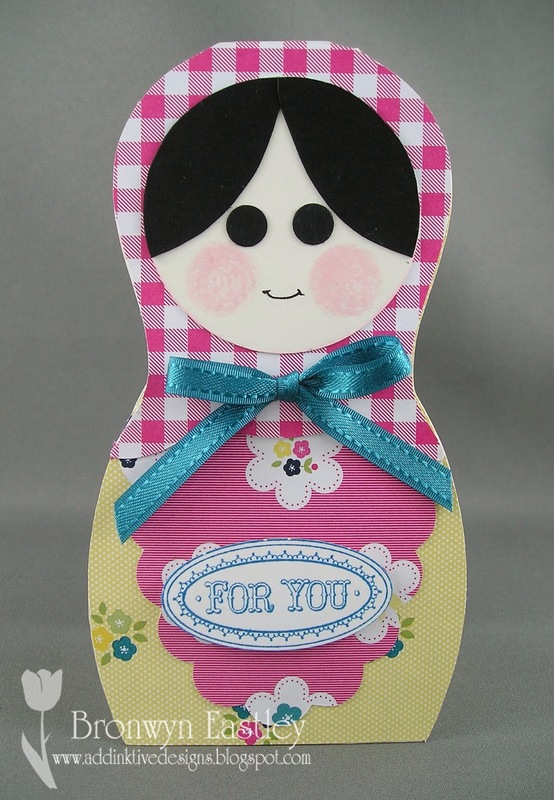 Each set contains a variety of versatile dies ... great for the card maker and scrap booker too! 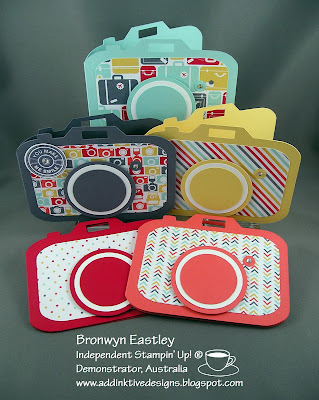 Only 2 Days Left to Get 25% Off 25 Stamp Sets! 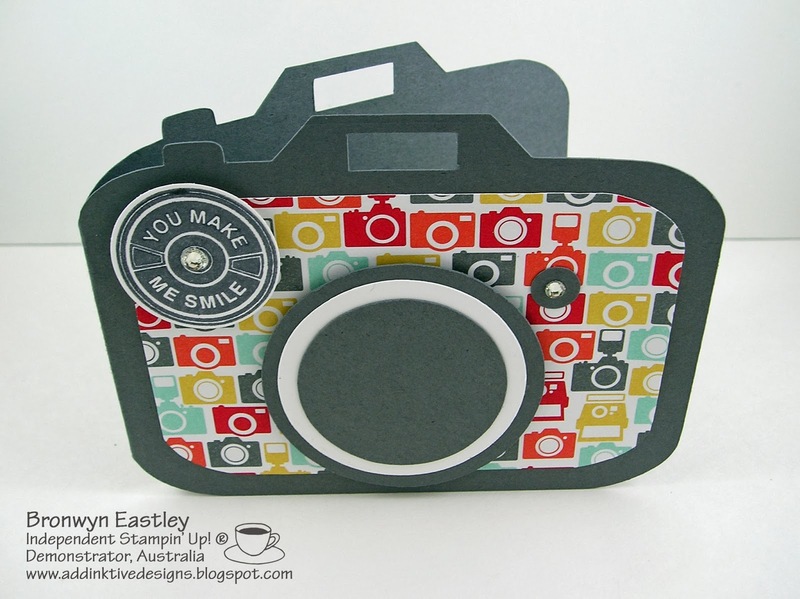 Stampin' Up!® loves to party and they are in full swing with an amazing special. 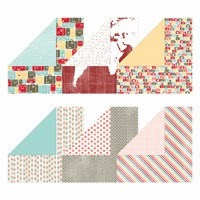 25 amazing stamp sets are reduced by 25%. I've already ordered three! You can order them straight away from my on-line store. Click the shop now button to grab yourself a bargain! There is only TODAY or TOMORROW left to join Stampin' Up! for ONLY $25.00! If you have ever thought that maybe you would be interested then there's never been a better time! I am looking to add more team members regardless of where you live in Australia and would REALLY love to have you join the AddINKtive Designers. As your upline, I will do everything I can to support YOU whether you just want to be a hobbyist (sign up for just the 20% discount) or if you want to build a Stampin' Up! ® Business. 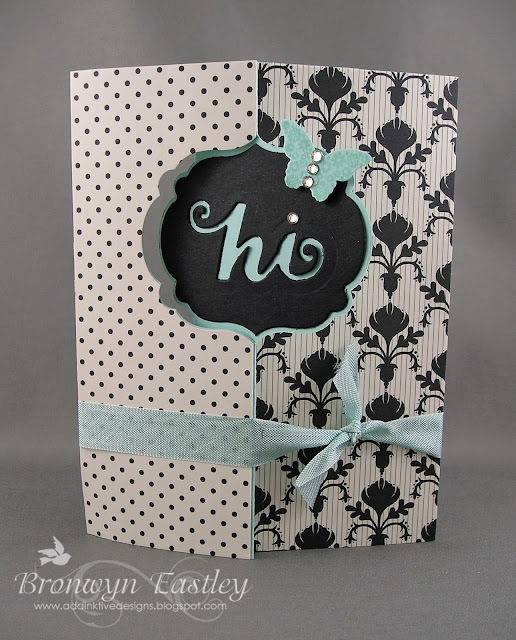 Why not join Stampin' Up! ® today! There really is NO RISK to you. You have from the day you sign up until March 31, 2014 to meet the $400.00 Quarterly Minimum which can easily be met with just one workshop, a few friend's orders or just with your personal purchases. As a big thank you, all my recruits receive a copy of my tutorials and if you live close by, access to my studio to borrow tools, stamps etc. 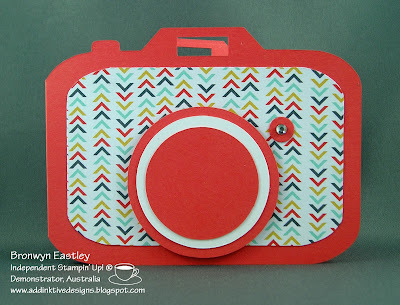 for Workshops, or just to spend some time crafting. 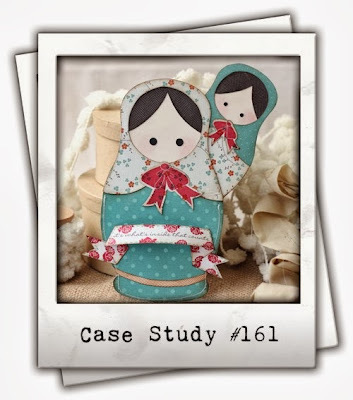 Elena Roussakis is the October Muse at Case Study this week and the challenge is based on her beautiful Matryoshka Doll Cards. 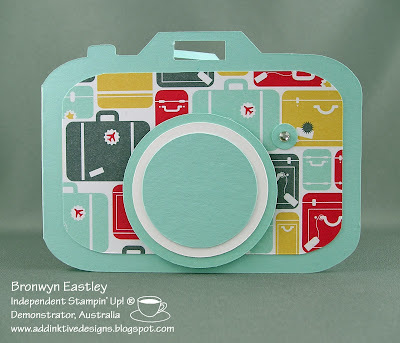 The cards in the inspiration photo are just gorgeous and so are all the samples from the Case Study DT. I was inspired to make a card using digital punches. 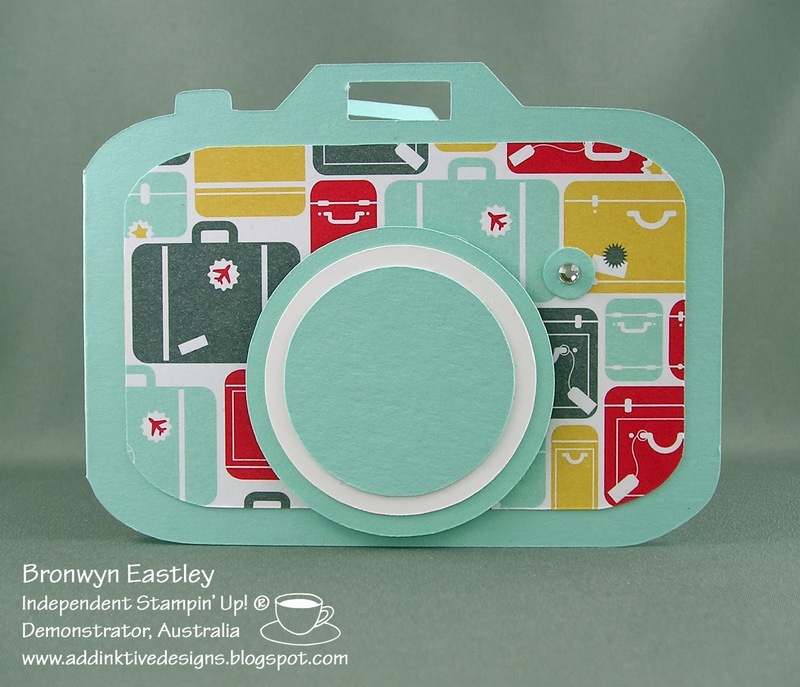 My card pieces were designed using digital downloads (owl, wide oval, scallop oval and circle punches) from MDS and then cut out with my Silhouette Cameo. 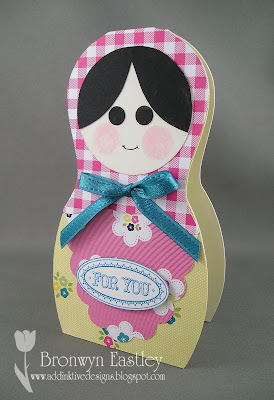 The DSP is Garden Gingham, the ribbon is Island Indigo (retired SAB) and the cheeks of the doll have been sponged daubed with some Pink Pirouette Ink. A stamp from Layered Labels was used for the sentiment. 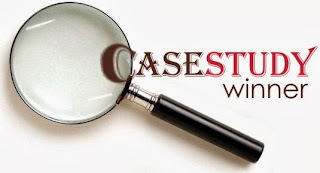 PS: A huge thanks to Chupa and the DT at Case Study for this award. It made my day! Camera Cards to Give Away! Are you ready for another little give away? 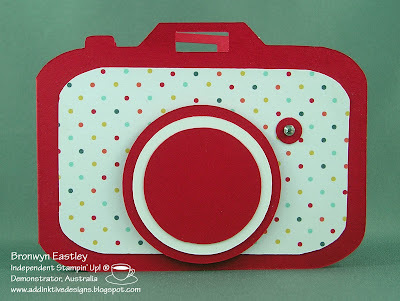 I have made a whole set of camera cards based on the 'I Am Me' Designer Series Paper which will be available as a card making kit very soon. 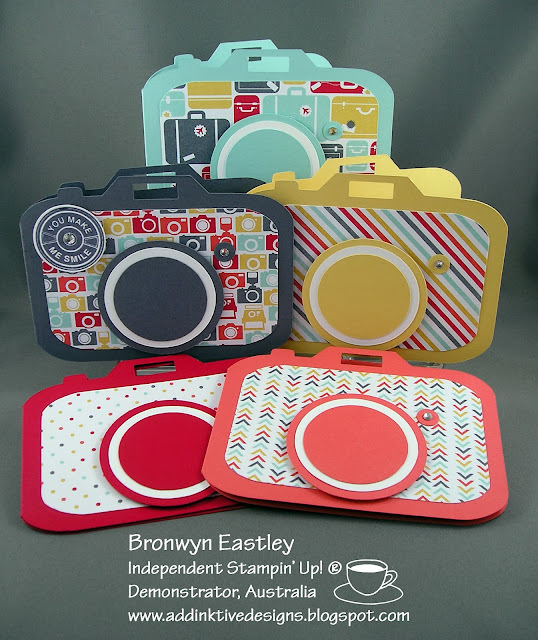 All you have to do is leave me a comment (Just tell me which colour camera is your favourite), here or on my Facebook Page (or both to double your chances) by Sunday night (AEST), in order to go into the draw to win this set of cards. It's open to all Aussie residents (non-demos and SU demos alike). 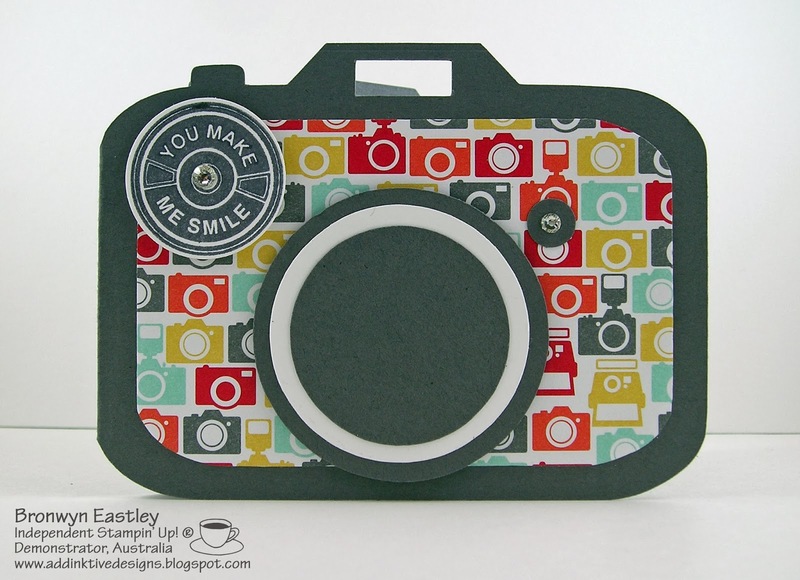 Please note that the Basic Grey Camera has a stamped image and due to SU regulations, this will not be part of the card kit when it becomes available for purchase. 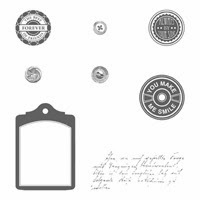 Tags For All - Bow Wrap and Tag 4, Circle Punch and Rounded Corner Punch. 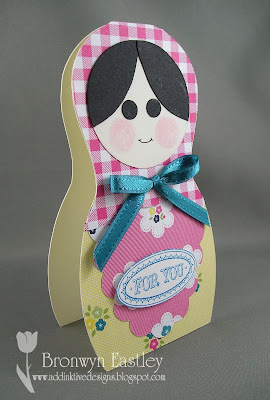 It was then cut out with my Silhouette Cameo Electronic Cutting Machine. 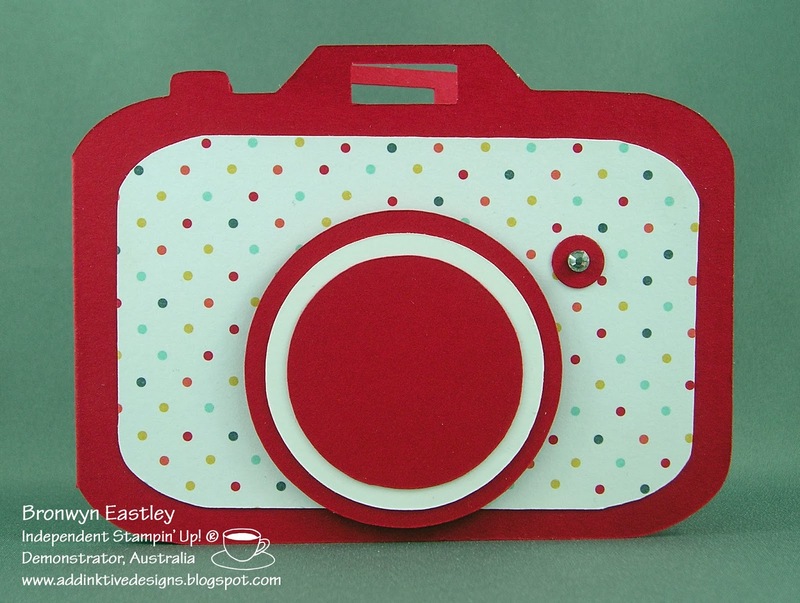 Accessories: A 1 1/4" Circle Punch was used to cut out the stamped image and an Itty Bitty Punched Circle and Rhinestone were added to complete the look. ... that's the 81st Challenge for SUO Challenges! 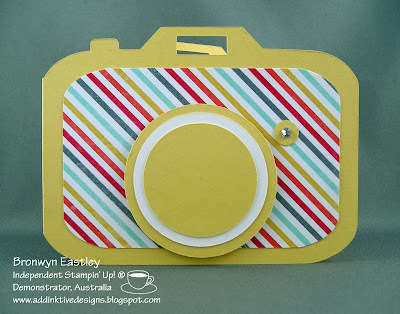 I've been away on a holiday to sunny Brisbane (It was an enjoyable break with 30+ degrees Celsius on most days) and I was itching to get back into my Studio to do some serious paper crafting. 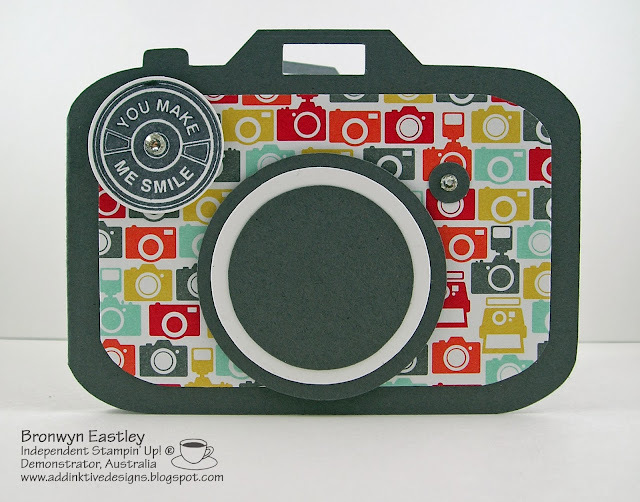 So I set about making a Camera Card mainly because I wanted to crack open some new DSP (I Am Me) and ink up a new stamp set (Notable Notions). Tags For All - Bow Wrap and Tag 4, Circle Punch and Rounded Corner Punch. 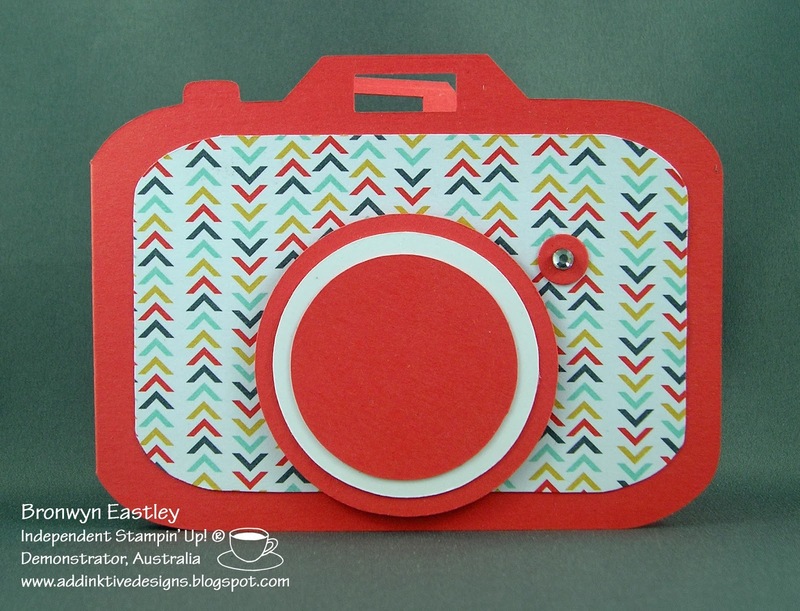 It was then cut out with my Silhouette Cameo Electronic Cutting Machine (Basic Gray and Whisper White Card Stock). (More information on how I did this in my previous post). A 1 1/4" Circle Punch was used to cut out the stamped image and an Itty Bitty Punched Circle and Rhinestone were added to complete the look. I hope you get a chance to join in with the challenge to Make Something Masculine at SUO Challenges #81 this week as everybody could do with some 'manly' cards in their stash! PS: Thanks so much, Robin and the rest of the DT for a Top 3 Spot this week!